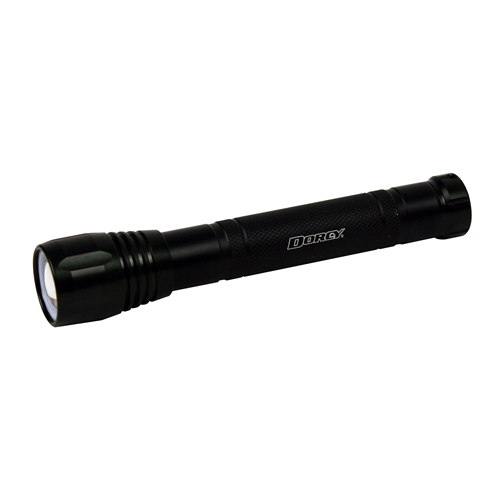 The 150 Lumen – 2AA LED aluminum focusing flashlight features an intense beam of light that projects an output of 100 meters when the zoom feature is engaged. An impressive eight and half hours of continuous run time is provided using just 2 AA batteries. The flashlight is constructed of aluminum alloy for greater durability and has a tail cap push button switch for ease of use. Other features include a unique, compact design for greater comfort and easy storage. Comes complete with 2 AA cell batteries.